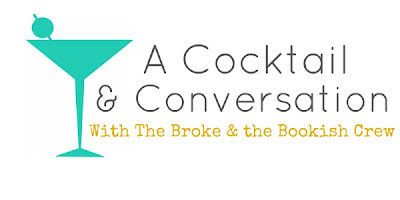 The Broke and the Bookish : A Cocktail and Conversation With TBTB Gang -- Dream Reading Spots! A Cocktail and Conversation With TBTB Gang -- Dream Reading Spots! Where in the world would you most want to read? (For instance, I want to read at a sidewalk cafe in Paris) Feel free to attach pictures! Bridget says: I want to read in a reading nook like the one below. I don't care where it is (although I'd prefer it was in my house, obviously). I just want to cuddle up among all those pillows and read for hours. Jana says: First of all, I LOVE Bridget's reading nook picture! I'd love one of those! My favorite place to read is on a boat, or by the water. I love the breeze, the smell, and the water sounds! Where would YOU love to read if you could pick anywhere? Hummm Honestly one of the best days of reading I ever had was on a cruise ship. I loved our room.. it had a balcony and I would sit out there and read while the ocean was right over the balcony. I just loved it. Though I won't do a cruise again (I felt trapped on that ship) I won't forget the wonderful balcony! I'm definitely more of a nook girl than an on-location girl. It needs a safe place to set a drink, though... even if it will sit forgotten once I lose myself in my book. During the summer I love reading at the beach. The pool is nice too, but not quite the same. The beach has the sounds of the waves rolling on shore and seagulls flying above. Plus, I love the multitasking of reading and tanning. However, there's nothing better than curling up on the couch with a good book. I love a cozy atmosphere while reading. Comfy couch, soft throw, and the slow trickle of raindrops. I've been to Kauai and it is amazing so keep talking about it and never feel bad about it, everyone should go there once at least! My favorite spot would have to be the nook for sure but let's put that nook in a gazebo on the beach. I don't care what beach as long as it's perfectly serene. As long as it's comfortable and cozy, I'd be happy in it! Though I've been eyeing those Fatboys and they seem like an awesome reading spot! I love the nook picture, and the sidewalk cafe as well! My ideal reading place would be one of those cozy, warm libraries with a fire going and some hot cocoa in my hands. *Sighs* But for now, my favorite place to read is in the backyard on our patio swing on a warm summer evening with the fireflies flying around, with a light breeze going. It just feels so magical. 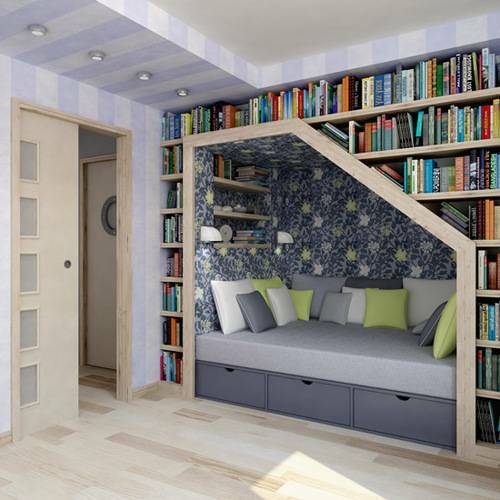 I LOVE that reading nook! I must have one!